Is Something Missing in Your Armor? 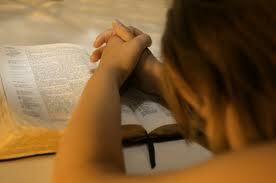 When our Lord Jesus Christ lived on this earth in human form… prayer was His highest priority! We need to do the same. We all know the verses about putting on the full armor of God (Ephesians 6)… however, as you can read for yourself below that the armor needed for our spiritual warfare includes fervent PRAYER for the Church. Next Post Keeping the Blinders On! This is a great word. May I reblog? I thought this was a very important article for us to read. Prayer is the foundation. You hit the nail on the head again Stephanie. The only reason that any blood-bought, adopted child of God fails is because they haven’t sought the help available through prayer. The only reason any Church or Christian group fails is because they haven’t sought the Lord in prayer and followed HIS will. Prayer doesn’t change things – GOD does – but He has CHOSEN to work in answer to the prayers of His people. Prayer is an enormous responsibility, but it is an even greater privilege, and prayer should be our first thought and action in any given circumstance, as well as our first priority at the start of each day and the close of each day. Praying for you and thanking God for you . . .
Praying for you too and thank you for the blessings you share with other on your blog. Ouch! This really convicted me – I needed this, thanks! It did so to me when I studied it closely…praise our wonderful God and Father of our Savior Jesus Christ, for it was by Him I wrote it. I usually write what is going on in my studies, or my life. I believe this is the key to having relevant posts, Stephanie. If God is dealing with you about something (like spending more time in prayer), chances are really good that He is dealing with others about that issue too. Love your article. I’ve been focusing on Ephesians 6:18 for a while now and was putting a post of my own together; however, I think yours is better. May I use on my site, with appropriate attribution, of course? Thank you for stopping by. I’m very pleased to hear that a portion of this post helped you. I thank our wonderful Father and Lord Jesus for “giving” us everything we need.